Many of us travel regularly for business or pleasure, and even though most of us probably haul along our own computer or tablet, occasionally we have to print something. Gee, right there off the hotel lobby is the business center, which today is often equipped with a nice color laser printer. How convenient! And how dangerous. How do we get the document from our device to the printer? Most if us would probably think, oh, that’s easy. I’ll just pop it into Google Drive, or One Drive, or Apple Cloud. Then I’ll log in with the browser on the office center machine, print my stuff, and I’m done! I just did this at the hotel I’m staying at in Florida. Logged into the system, running Windows 10, and brought up Google Chrome. I looked at the photo icon on the upper right corner of the browser, and I see a picture of one of my colleagues…he never logged off from using it the day before! It turns out that closing Chrome does not log you out, even though logic says it should. I logged him off, logged in to Google, did my printing from content on Google Drive, and logged off. Because neither Google nor Microsoft requires two-factor authentication, leaving an account logged in will allow the next system user to change your password. Once that’s done, everything in that account is theirs and not yours. Wow. Scary. Rebooting might fix it, but in normal operation, these systems hardly ever get rebooted. Once logged off, I clicked the login icon on the upper right corner of the default Google Search screen. This took me to a list of the users that had previously logged into Google using this browser listing their name, their email address, and even their photo if their account had one linked to it. And there I was, as well as my colleague. At the bottom of the screen was a “remove login” selection. Clicking it placed an X next to each user on the list, and clicking the X removed that user from the list. Does it remove it from the system as well, or just from this list? I don’t know, and haven’t yet had time to research it. I then moved to the machine next to this which I had used the day before. I looked at the list of Google users in Chrome, and there I was! I removed my entry and the other 10 on the screen—one at a time, of course—then I closed Chrome and logged out of the system. I know it seems like a bit much expecting hotels to control this serious vulnerability on their office center system, but frankly most users will never even be aware of the danger, and if the hotels don’t take positive steps to control this it will never happen. I did some quick research to try to find a Chrome plugin to automatically log users out when the browser is closed, and to prevent the user list from being retained, but if there is such a beast, I didn’t find it. Clearly this is a need, and to be perfectly honest, one that the hotels and anyone else providing public access to Google logins on Chrome should expect to pay for. Free business plan: write it. Then write about it. Frankly, people are crazy not to protect their users like this. ITM Student Handbooks for Fall 2018 are now available. The Information Technology and Management Faculty held their Spring 2018 faculty meeting at Lee Wing Wah in Chicago’s Chinatown on May 7, 2018. 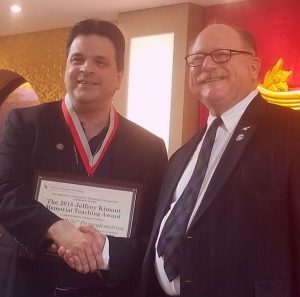 A highlight of the meeting was the awarding of the 2018 Jeffrey Kimont Memorial Teaching Award. Named in honor and memory of the first full-time ITM faculty member, the Jeffrey Kimont Memorial Teaching Award honors an outstanding adjunct faculty member. This year’s recipient is Vasilios “Billy” Pappademetriou. As the key instructor for ITM 301, Billy introduces every first-year ITM student into the fundamentals of not only hardware and operating systems but the IT profession as well. Jeff Kimont was a founding faculty member in Information Technology and Management and shaped the application development curriculum of the program. A BSEE graduate of Midwest College of Engineering (now part of IIT and the foundation of the Rice Campus in Wheaton), Jeff earned his Master of Computer Science at North Central College and a Masters Certificate in Bioengineering and Bioinformatics at the University of Illinois at Chicago. After retiring from Bell Labs, he became the first full-time faculty member in Information Technology and Management but later left that role to pursue a full-time career as a lead software developer. A jazz musician as well as a talented coder and teacher, Jeff was the father of four. He passed away due to cancer at the age of 58 in 2013. Congratulations to these outstanding graduates. The awardees received a framed certificate and a medallion to be worn with their cap and gown at commencement. Spring 2018 ITM Undergraduate Advising Notes! The Spring 2018 ITM Undergraduate Advising Notes are now available to assist undergraduates with their Spring 2018 course selection and planning. Also available to assist in your course planning is the Pop course browser from ITM alum Eric Tendian: https://pop.weclarify.com/spring2018.html. The ITM Department Office will be closed on and off this week, because nearly everyone who works there will be away at conferences. Amber Chatellier and Angela Jarka are representing the 2018 Women in Cyber Security (WiCyS) Conference at the Grace Hopper Celebration in Orlando, FL, sponsored by the Anita Borg Institute. Named for computing pioneer and U.S. Navy Admiral Grace Hopper, the celebration is the world’s largest gathering of women technologists, with over 18,000 in attendance this year. As the hosting Logistics Committee for WiCyS, Amber and Angela will be seeing sponsors and potential attendees for the WiCyS Conference to be held at the Hilton Chicago March 23rd and 24th, 2018. ITM Associate Chair Industry Professor Ray Trygstad, Industry Associate Professor Jeremy Hajek, and Senior Lecturer Dr. Yong Zheng will represent Illinois Tech at the 2017 ACM Special Interest Group in Information Technology Education (SIGITE)/Research in Information Technology (RIIT) Conference in Rochester, NY. 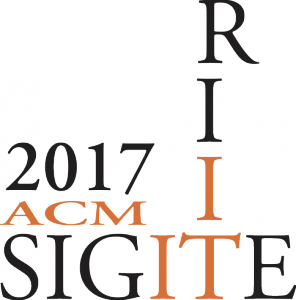 Ray is a member of the ACM SIGITE Executive Committee and will represent the School of Applied Technology as a Gold Sponsor of the conference. Jeremy and Yong will present papers co-authored with ITM students at the RIIT Conference. The Department of Information Technology and Management and the Center for Cyber Security and Forensics Education are pleased to announce that we will host the Fifth Annual Women in Cyber Security (WiCyS) Conference. This National Science Foundation funded event will be held March 23 through March 24, 2018 at the Hilton Chicago. It is the mission of WiCyS to bring together women in cybersecurity from academia, research and industry from across the United States. The event is exclusively designed as the forum for speakers and guests to exchange knowledge, experience, networking, and mentoring to raise interest in the field of cybersecurity. We will be seeking volunteers to assist with the conference and to meet arriving delegates at the airports later this fall. ITM Associate Chair Ray Trygstad will serve as conference co-chair, while Amber Chatellier and Angela Jarka of the ITM Department comprise the conference logistics staff. Policy & Program: Covered entities must instate and maintain a documented cybersecurity policy, and adopt a robust cybersecurity program, by August 28, 2017. CISO: Designate a qualified Chief Information Security Officer (CISO) to oversee and implement the cybersecurity program and enforce policy. 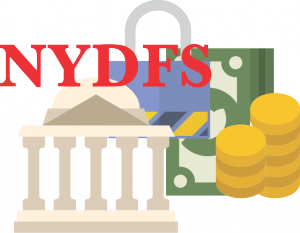 The CISO must submit a written report annually to the Board of Directors and an annual compliance certification to the Department of Financial Services. Data encryption: Organizations must enact controls, including encryption of sensitive data, depending on the outcome of a risk assessment. Continuous monitoring: Covered entities must continuously monitor cybersecurity functionality OR conduct annual penetration testing and bi-annual assessments. Enhanced multi-factor authentication: Covered institutions must employ multi-factor authentication for all inbound connections to the entity’s network. Incident reporting: Covered entities must document and report all cybersecurity events.